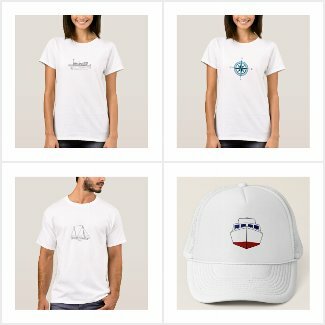 Boats and ships have always been popular in nautical art. Subjects include tall ships, harbors, waterfronts, fishing vessels, naval battle scenes, hunting excursions, and much more. Along the Atlantic Coast, boats, ships, and other vessels played an vital role in history. During the colonial period, ships and boats provided transportation, shelter, protection, and other needs. Early vessels were designed primarily for performing work such as commercial fishing, transportation, and other tasks. Many recreational boat designs originated from early working vessels. Rowboats and small sailing craft were the among the first boats to gain popularity as recreational vessels. As propulsion technologies progressed, more and more recreational boaters chose power boats for personal use. Many early models were equipped with small inboard engines. As gasoline powered engines evolved for the automotive industry, hobbyists and boat builders began experimenting with higher horsepower models in pleasure boats and other watercraft. Historic and vintage ship and boat exhibits are among the most popular attractions at many coastal museums. A few of the most popular facilities include the New Bedford Whaling Museum, Mystic Seaport Museum, Nauticus (Norfolk Virginia), and the Newport News Mariners Museum. Ship and boat festivals are popular events that showcase vintage craft and related artwork. Tall ships and other historic vessels can be seen at several annual events along the Atlantic Coast, including the Chestertown Maryland Downrigging Weekend, Norfolk Virginia Harborfest, and others. In addition to those events, Tall Ships America hosts a series of challenges that move from port to port throughout North America. 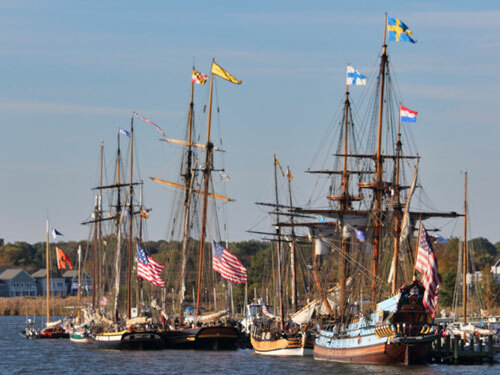 Tall Ships America events are held along the Atlantic Coast in Boston, Philadelphia, Savannah, and other cities.